Nuclear-powered lifting and rescue vehicle with ISRU. 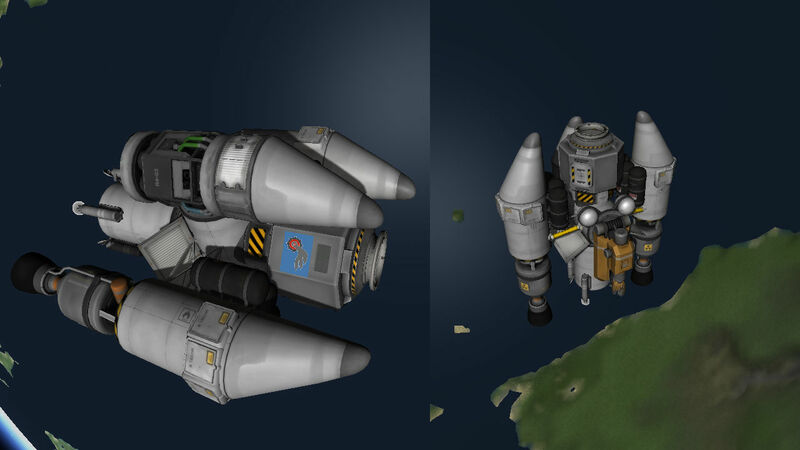 I built this to rescue a detached command pod from Minmus. It lands, docks, and makes fuel to leave. Quite proud of its asymmetric balancing. A stock rocket called 0LMR MinMaxer. Built with 79 of the finest parts, its root part is MK1Fuselage.